I’ve put some new items on ebay today. 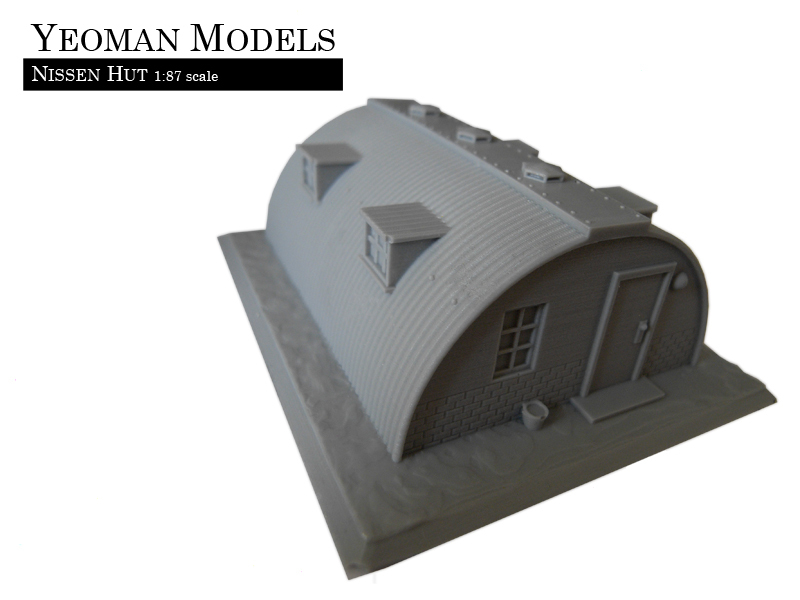 First off for all you HO Gauge train modellers I have a solid resin nissen hut. I have also made the same hut at 1:100 for you TT Gauge peeps although there are currently none on ebay. If you want one, please message me. the other two items I have made are a bit of a departure from the normal miniatures. 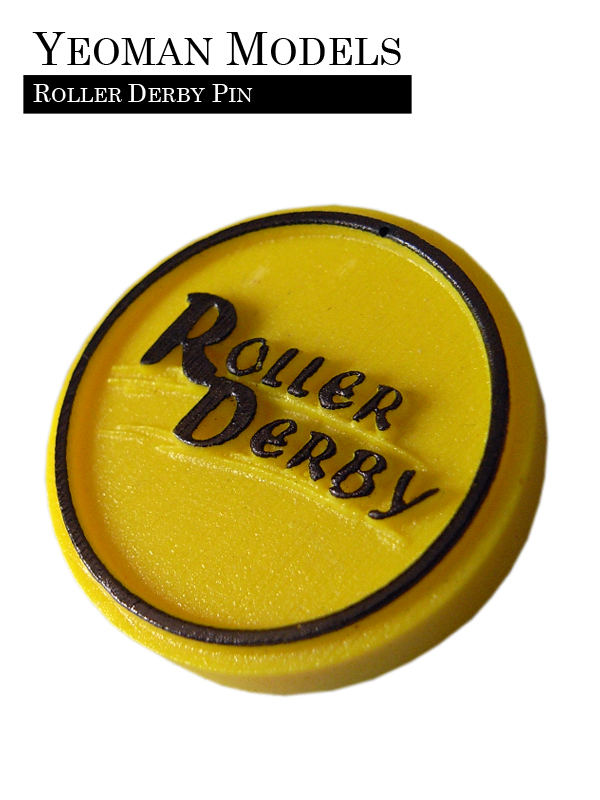 They are bas-relief badges/pins and keyrings/fobs for Roller Derby! Being a fan of Roller Derby (my teams being The Atlantic Breakers from Cornwall and Cardiff’s Tiger Bay Brawlers) I thought it a fit subject for some badges and keyrings. Both are resin with a bas-relief image. The badge is a yellow resin with black paint (spayed to seal and protect it) with a brooch pin on the back. Find it here. It measures an inch diameter. 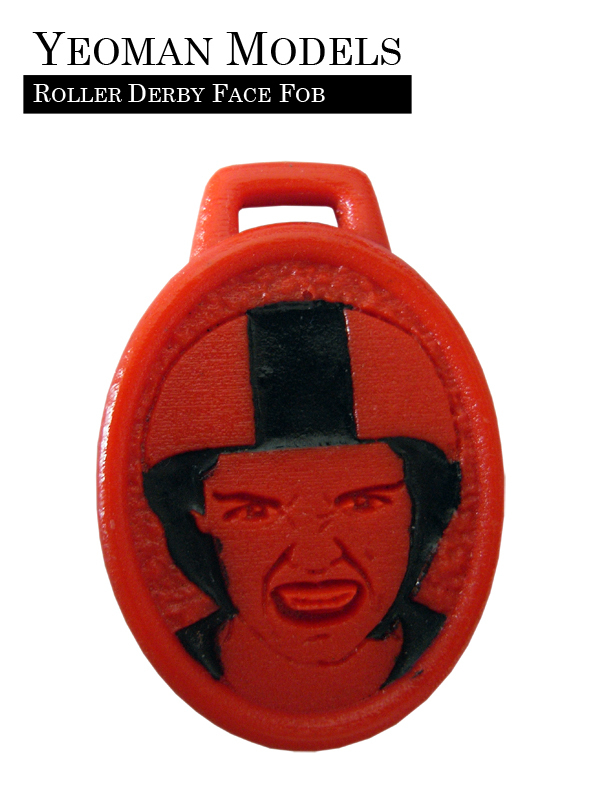 The angry face keyring was based on a drawing I made a few years ago and is made with red and black resin. No paint needed! It measures an inch by an inch and a half. Find that one here. I have also made both of them to be either a badge or a keyring by adding or removing the loop on the top. Overall I’m quite happy with them. The two tone resin for the face is rather nifty I think. I made a rectangle bas-relief badge using the Tiger Bay Brawlers logo. I think it came out quite well. I will upload a picture of that in my next blog post. I would like to make more badges based on Roller Derby teams. Well, the new series of Doctor Who starts soon, so I’m going to watch that… and so should you! ← A little update… Up on eBay now are solid resin Police Box’s in four different scales!